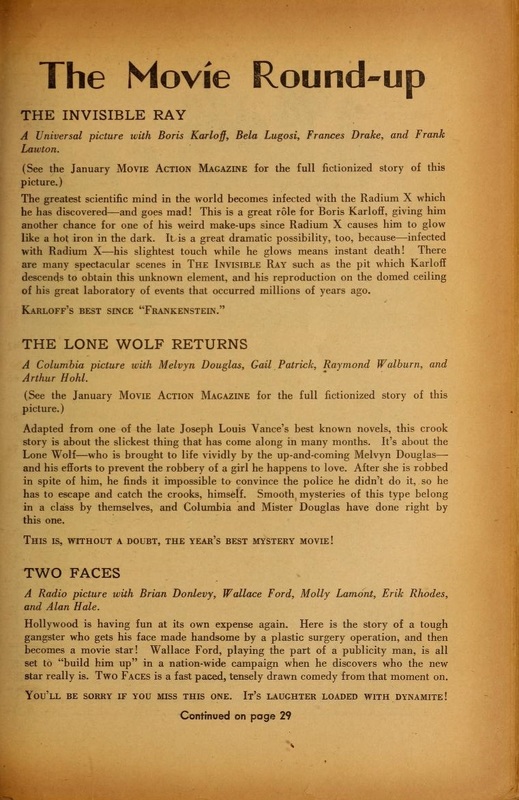 Published by Street and Smith Publications, Inc., a New York publisher of pulp fiction, dime novels and comic books whose roster included The Shadow, Doc Savage and Astounding Stories, Movie Action Magazine ran for just six issues between November 1935 – June 1936. 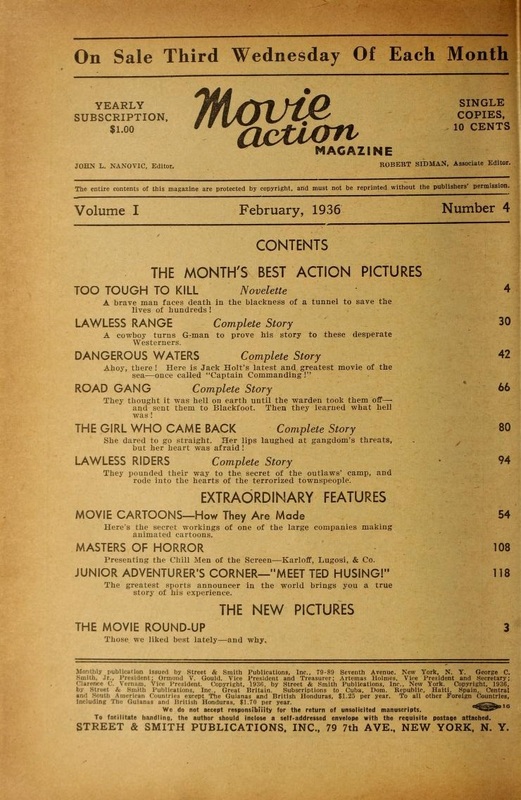 The pulp magazine featured film reviews, articles about movies and actors and adaptations of film scripts. 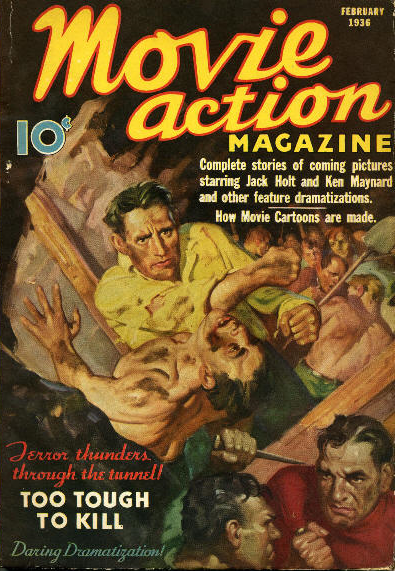 It was edited by John L. Nanovic, who had previously edited The Shadow and is best remembered as co-creator with publisher Henry W. Ralston of Doc Savage. 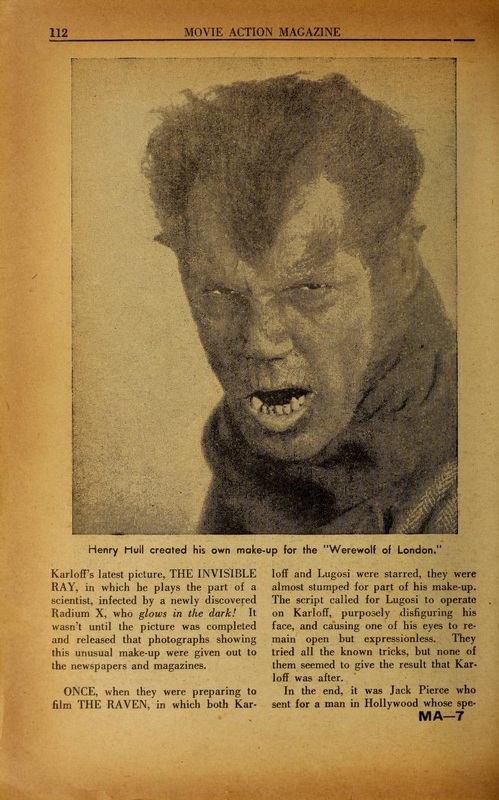 The January 1936 issue of Movie Action Magazine featured an adaptation of The Invisible Ray, Universal’s third co-staring vehicle for Boris Karloff and Bela Lugosi. 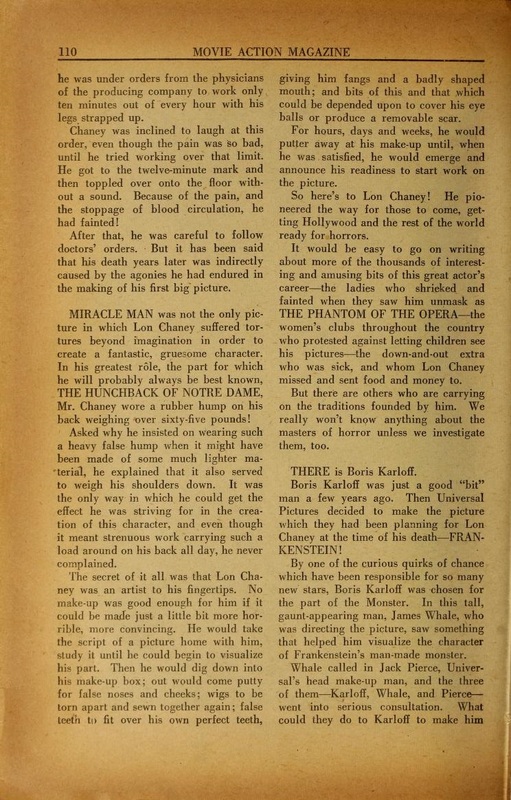 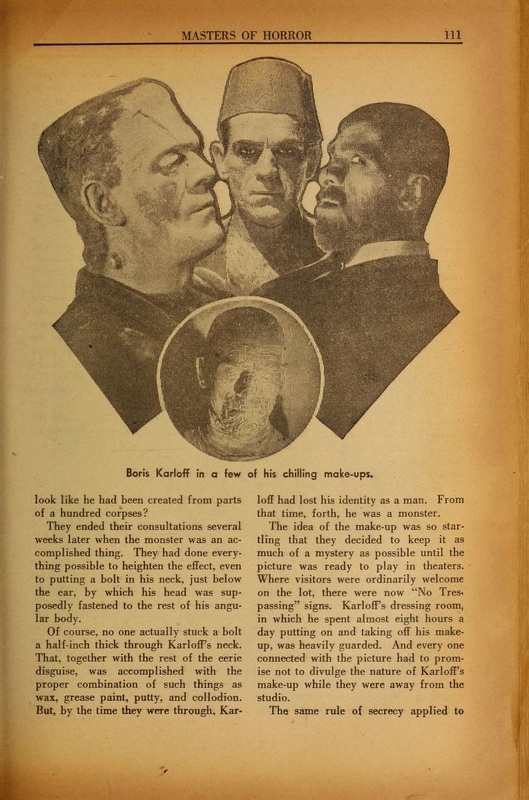 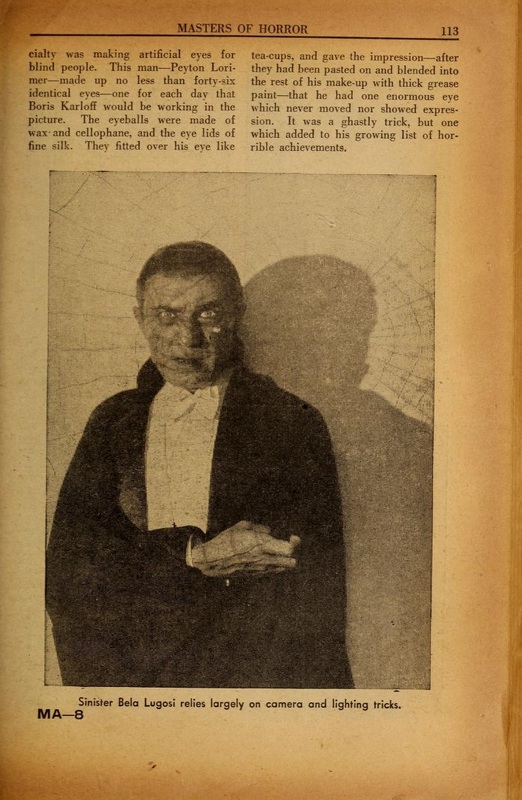 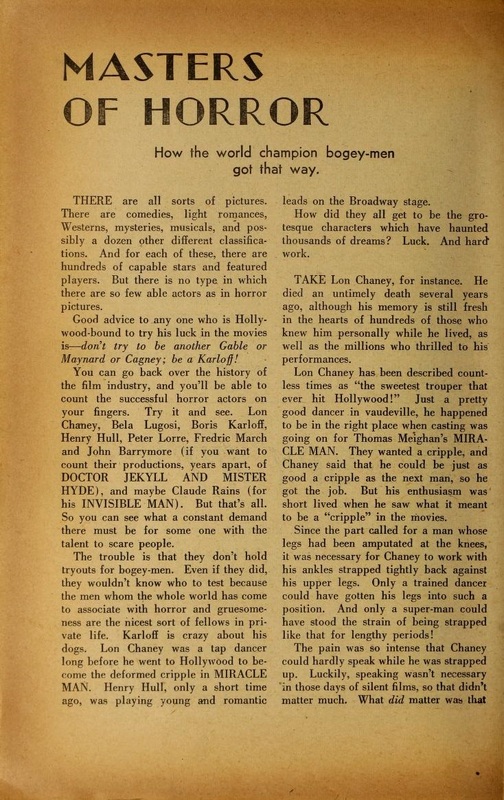 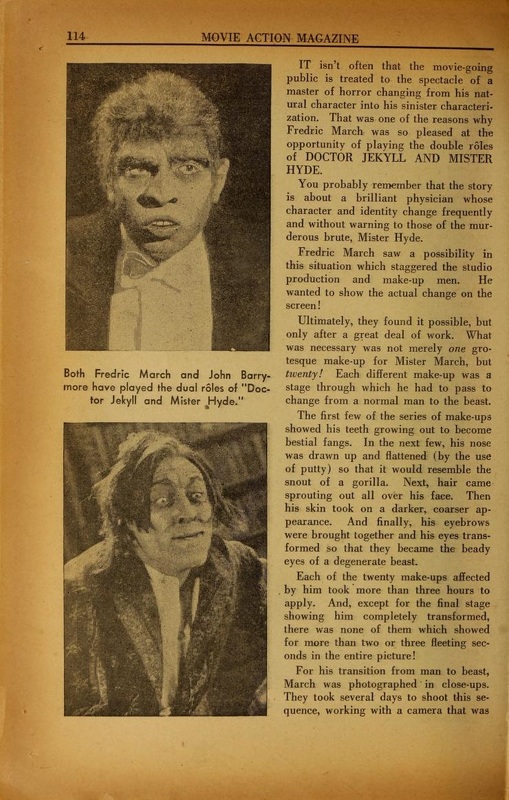 The February 1936 issue contained a review of The Invisible Ray and Masters of Horror, an article detailing how horror actors achieved their most famous characterisations. 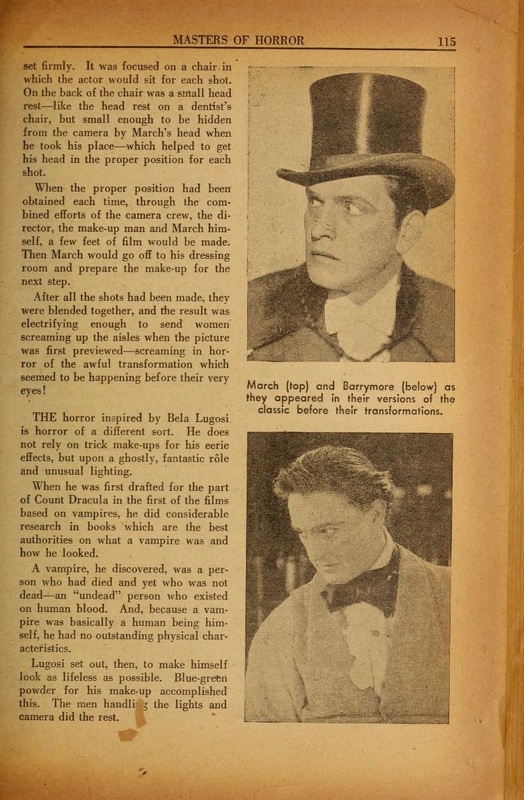 Included in the article were Bela Lugosi, Boris Karloff, Henry Hull, Lon Chaney, Frederic March, John Barrymore and Peter Lorre. 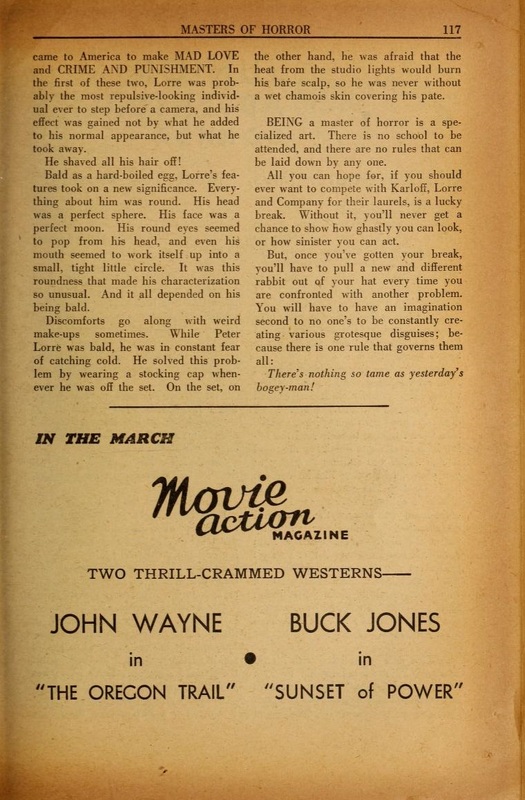 Boris Karloff’s 1936 Warner Bros. film The Walking Dead was the featured adaptation in the final June 1936 issue of Movie Acton Magazine. 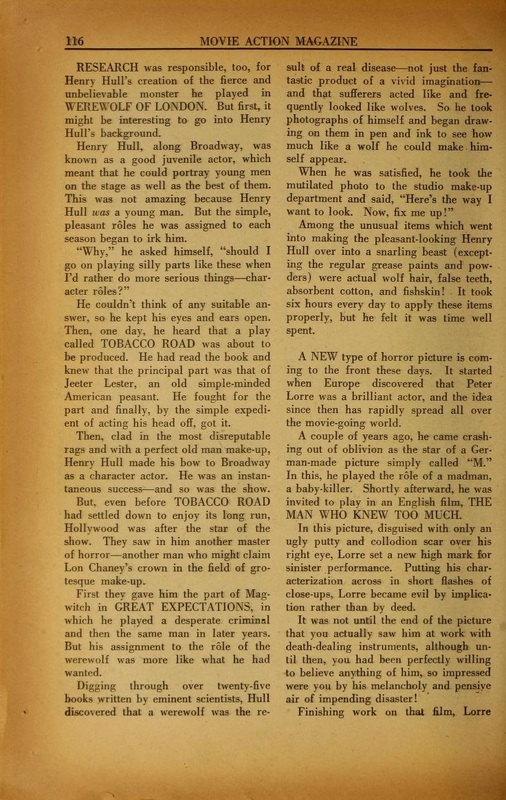 My pleasure, Steve. 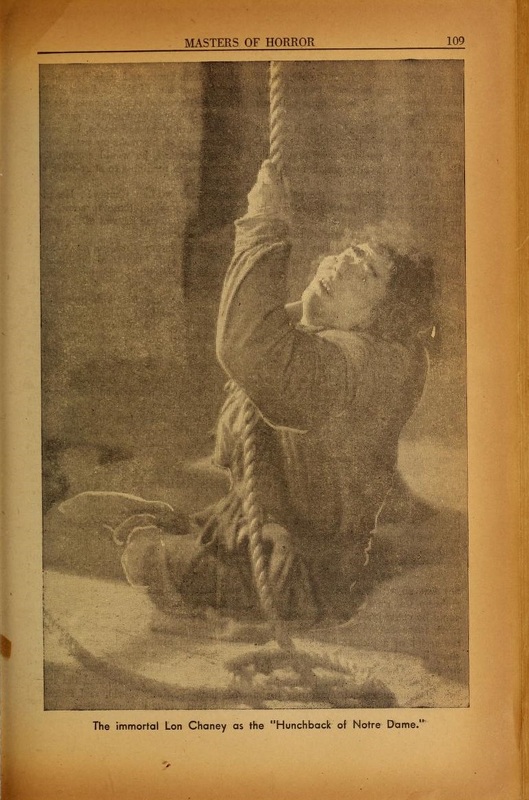 These things are for sharing!